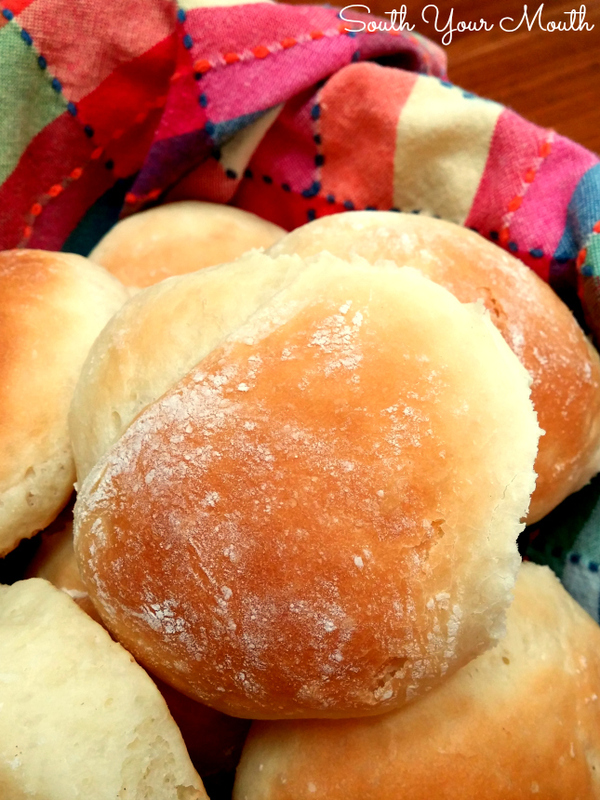 An easy yeast roll recipe perfect for when your meal deserves fresh baked bread! Y’all! I've been so busy the last month or so! March liked ta killed me. Between the girls finishing up competition season with cheer, Brutus starting back up with baseball and us trying to get the yard in order for Spring, I have been slap. covered. up. And now I’m trying to finish up my taxes. Man, dang! There just aren't enough days in the week! 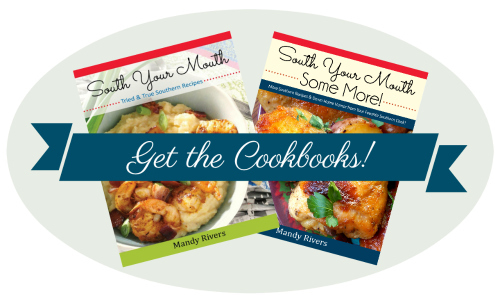 I’d been feeling like I was neglecting you guys because I hadn't scratched out enough time to cook and photograph as many recipes as usual so when Mama made her yeast rolls Easter Sunday, I was all over them like stink on… errrr… like white on rice! Those rolls were like Hold on girl, get my good side! and No autographs, please! by the time I was done taking pictures and interrogating Mama on her recipe. All they needed was a little tiny strip of red carpet. As I've told you before, I’m not a baker but Mama’s got it down! 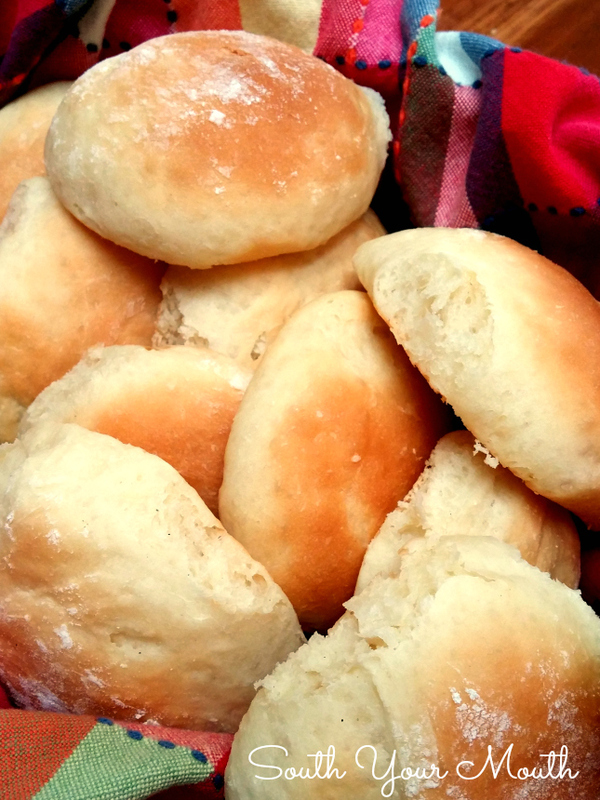 Here’s her recipe for yeast rolls! Also check out this recipe for Potato Rolls! Combine yeast, 1 teaspoon sugar and warm water in a small, shallow bowl and mix well. Let mixture rest for about 5 minutes or until yeast activates and mixture becomes foamy. Combine yeast mixture, 1/2 cup sugar, milk and half of the flour then mix at medium speed for 2 minutes with an electric mixer or stand mixer fitted with a paddle attachment. Add melted butter, eggs and salt and mix well. Begin mixing in remaining flour, one cup at a time, until dough pulls away from the side of the bowl. If using a stand mixer, switch to the dough hook attachment and run on low for 4 minutes. If making by hand, turn dough out onto a lightly floured surface and knead for 4 minutes. Grease the inside of a large mixing bowl, place the dough in the bowl and turn over once to grease the top. Cover the bowl with a clean kitchen towel and allow the dough to rise in a warm place for about an hour or until dough has doubled in size. Punch the dough down and turn out onto a lightly floured surface. Roll the dough out until 1/2-inch thick then cut into 2-3” squares and lightly shape into round rolls (just soften the corners so your rolls aren't square). Place rolls onto greased baking pans two inches apart. Cover pans with kitchen towels and allow the dough to rise again in a warm place for about an hour or until dough has doubled in size. Bake rolls at 350 degrees for approximately 15 minutes or until golden brown. Yum! Can't wait to try these this weekend! I doubled the recipe because 20 rolls would not have been enough, however this recipe made WAY MORE than stated. I ended up with 48 rolls and to use up the excess dough I made sticky buns. They were scrumptious nonetheless! Do you used salted or unsalted butter? I am not the best one to ask because I stink at bread making BUT I think the rule of thumb is to freeze it before the "last rise". Instead of letting them rise that last time before baking, you freeze them. Then, when you're ready to cook, you let them thaw out then rise before baking. I THINK. You might want to search online for someone who knows more than I do!